The Enchanted Garden of Lights at Rock City outside Chattanooga is one of the Tennessee city&apos;s favorite Christmastime destinations. Santa and Mrs. Claus, Inara -- The Ice Queen, Jack Frost, Frosty the Snowman and Rocky the Elf are some of the characters you&apos;ll find walking through the gardens this time of year. Chattanooga, less than two hours away from Atlanta, offers a great Christmas getaway for ATL residents, especially those with kids. The little ones will be all a&apos;shiver with sheer Christmas spirit when they see the Sugar Plum Fairy Village, the Enchanted Garden of Lights, ride the Polar Express or do any of the other great Chattanooga Christmas activities. And there&apos;s plenty for the grown-ups, too! These special Christmas offerings are only open for limited times so make sure to check their hours of operation. Ruby Falls, the extraordinary waterfall located more than 1,100 feet down into Lookout Mountain, Tenn., is one of the Southeast&apos;s most compelling attractions, but it takes on an even more special aura during the holidays. Ruby Falls Christmas Underground allows kids and their family to enter the cave through an underground "ice" tunnel that leads to the North Pole where Santa resides. Walk through the Sugar Plum Fairy Village, see the Northern Lights and help Santa&apos;s miners search for the magical Joystone. 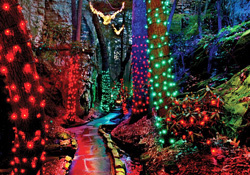 When you plan your Ruby Falls Christmas Underground visit at Lookout Mountain, you should schedule time for Rock City Gardens&apos; Enchanted Garden of Lights for the evening. More than 30 holiday scenes and hundreds of thousands of LED lights turn the gardens into a twinkling Christmas wonderland. Santa and Mrs. Claus, Inara -- The Ice Queen, Jack Frost, Frosty the Snowman and Rocky the Elf are some of the characters you&apos;ll find walking through the gardens. Choirs, ensembles, and bands provide music nightly at the North Pole Lodge, where you can get holiday refreshments. Special kids&apos; activities include gingerbread cookie decorating with Mrs. Claus and Sugar Plum Fairy Makeovers. There&apos;s even a VIP Dinner with Santa available for an additional charge. Tennessee Valley Railroad provides a special train ride to an imaginary North Pole during the Christmas holidays. The trip includes storytelling, sing-a-longs, refreshments and occasional lighted displays visible from the rail cars. Once the train reaches its destination, Santa climbs aboard, walks through the train cars greeting every child and presenting them with a keepsake of their special train trip. The North Pole Limited rides are a little less than an hour-and-a-half long. Overnight packages are available, however, with sleeping berths. The trains depart from Grand Junction Station, located just two miles from the Chattanooga Airport. The Tennessee Valley Railroad Museum also operates special Holiday Dinner Trains in a restored 1924 dining car for the Christmas season. Ice on the Landing, Chattanooga&apos;s only ice skating rink, is not at Ross&apos;s Landing this year. It&apos;s moved to the Glenn Miller Outdoor Gardens at the Chattanooga Choo Choo. The Chattanooga Choo Choo itself, Chucktown&apos;s grand historic railroad terminus station, will be dressed in its holiday finery during the Christmas season and is offering special packages that include lodging at the Choo Choo along with discounted tickets for various Christmas-season Chattanooga attractions. Chattanooga even makes New Year&apos;s Eve kid friendly. The Creative Discovery Museum in Chattanooga has a New Year at Noon that provides the opportunity to meet Father Time and Baby New Year and enjoy an apple juice toast, a confetti and balloon drop, and a kazoo version of "Auld Lang Syne." 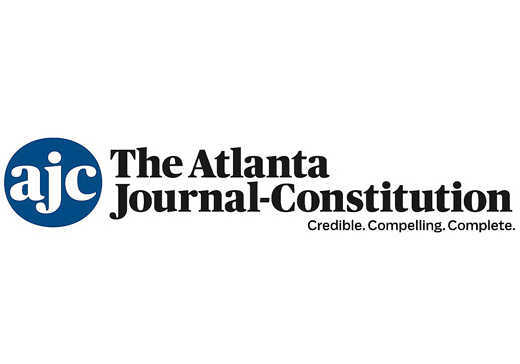 For the grown-ups, there is no big, free public event but there are several great events and parties going on.